37. Saeid Biria, Shreyas Pathreeker, Francielli S Genier, Ian D. Hosein, “A Calcium-Ion Rechargeable Battery Comprising Highly Conductive and Thermally Stable Ionic Liquid Gel Electrolyte.” J. Power Sources, 2019. Under Revision. 36. 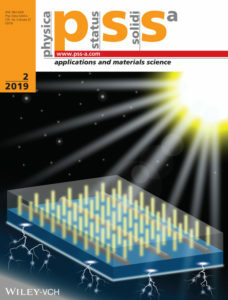 Hao Lin, Saeid Biria, Fu-Hao Chen, Ian D. Hosein, Kalaichelvi Saravanamuttu, “Waveguide-imprinted slim polymer films: beam steering coatings for solar cells.” ACS Photonics, 2019. Accepted. 35. Francielli S. Genier, Cameron V. Burdin, Saeid Biria, Ian D. Hosein, “A Novel Calcium-Ion Solid Polymer Electrolyte Based on Crosslinked Poly(ethylene glycol) Diacrylate.” J. Power Sources, 2019, 414, 302-307. 32.Hao Lin, Ian D. Hosein, Kalaichelvi Saravanamuttu “A Slim Polymer Film with a Seamless Panoramic Field of View: The Radially Distributed Waveguide Encoded Lattice (RDWEL).” Adv. Opt. Mater. 2018, 1801091. 30. Saeid Biria, Ian D. Hosein “Superhydrophobic Microporous Substrates via Photocuring: Coupling Optical Pattern Formation to Phase Separation for Process-Tunable Pore Architectures.” ACS Appl. Mater. Interfaces. 2018, 10, 3094–3105. 26. Fu-Hao Chen, Shreyas Pathreeker, Saeid Biria, Ian D. Hosein “Synthesis of Micropillar Arrays via Photopolymerization: An In Situ study of Light-Induced Formation, Growth Kinetics and the Influence of Oxygen Inhibition.” Macromolecules 2017, 50, 5767–5778. 24. Saeid Biria, Ian D. Hosein “Simulations of Morphology Evolution in Polymer Blends during Light Self-Trapping.” J. Phys. Chem. C 2017, 121, 11717. 23. Saeid Biria, Ian D. Hosein “Control of Morphology in Polymer Blends through Light Self-Trapping: An in Situ Study of Structure Evolution, Reaction Kinetics, and Phase Separation.” Macromolecules. 2017, 50, 3617. 22. Saeid Biria, Philip P. A. Malley, Tara F. Kahan, and Ian D. Hosein “Optical Autocatalysis Establishes Novel Spatial Dynamics in Phase Separation of Polymer Blends during Photocuring.” ACS Macro Lett. 2016, 5, 1237–1241. 21. 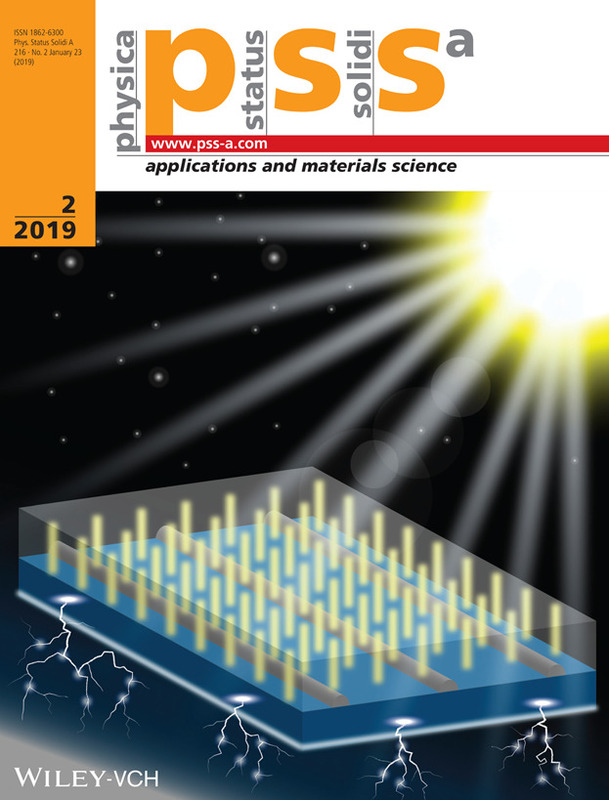 Fu-hao Chen, Shreyas Pathreeker, Jaspreet Kaur, and Ian D. Hosein “Increasing light capture in silicon solar cells with encapsulants incorporating air prisms to reduce metallic contact losses.” Opt. Lett. 2016, 24, A1419-A1430. 20. Saeid Biria, Philip P. A. Malley, Tara F. Kahan, and Ian D. Hosein “Tunable Nonlinear Optical Pattern Formation and Microstructure in Cross-Linking Acrylate Systems during Free-Radical Polymerization.” J. Phys. Chem. C 2016, 120, 4517-4528. 19. M. Hegde, I. D. Hosein, P. V. Radovanovic, “Molecular Origin of Valence Band Anisotropy in Single β-Ga2O3 Nanowires Investigated by Polarized X-ray Absorption Imaging.” J. Phys. Chem. C, 2015, 119, 17450–17457. 17. I. D. Hosein, M. Hegde, P. D. Jones, V. Chirmanov, P. V. Radovanovic, “Evolution of the Faceting, Morphology and Aspect Ratio of Gallium Oxide Nanowires Grown by Vapor-Solid Deposition.” J. Cryst. Growth, 2014, 396, 24–32. 16. T. Wang, A. Layek, I. D. Hosein, V. Chirmanov, P. V. Radovanovic, “Correlation between native defects and dopants in colloidal lanthanide-doped Ga2O3 nanocrystals: A path to enhancing functionality and controlling optical properties.” J. Mat. Chem. C, 2014. Invited paper for 2014 Emerging Investigators Themed Issue. 15. I. D. Hosein, H. Lin, M. R. Ponte, D. K. Basker, K. Saravanamuttu, “Enhancing Solar Energy Light Capture with Multi-Directional Waveguide Lattices.” Renewable Energy and the Environment OSA Technical Digest (online) (Optical Society of America, 2013), paper RM2D.2. 14. M. Hegde, I. D. Hosein, T. Sabergharesou, S. S. Farvid, P. V. Radovanovic, “Introducing and manipulating magnetic dopant exchange interactions in semiconductor nanowires.” Proc. SPIE 2013, 8813, 88132S. 13. X. Sun, X. Bai, Y.Wang, M. Hegde, I. D. Hosein, P. V. Radovanovic, Y. G. Guo and B. Cui, “Comparison of Structural Analysis and Electrochemical Studies of C-Li4Ti5O12 and CNT-Li4Ti5O12 Nanocomposites particles used as Anode for Lithium Ion Battery.” MRS Proceedings, 2013, 1541. 12. M. A. Halim, K. Hasan, G. Sarwar, I. D. Hosein, “Creating a Borderless Platform for Scientific Research in Canadian Chemical Transactions.” Can. Chem. Trans., 2013, 1, 1–6. 11. X. Sun, A. Iqbal, I. D. Hosein, M. J. Yacaman, Z. Y. Tang, P. V. Radovanovic and B. Cui, “Structure Characterization and Electrochemical Characteristics of Carbon Nanotube-Spinel Li4Ti5O12 Nanoparticles.” MRS Proceedings, 2012, 1440. 10. S.S. Farvid, M. Hegde, I. D. Hosein, P. V. Radovanovic, “Electronic structure and magnetism of Mn dopants in GaN nanowires: ensemble vs single nanowire measurements.” Appl. Phys. Lett. 2011, 99 222504–6. 9. M. Hedge, S. S. Farvid, I. D. Hosein, P. V. Radovanovic, “Tuning Manganese Dopant Spin Interactions in Single GaN Nanowires at Room Temperature.” ACS Nano, 2011, 5, 6365–6373. 8. I. D. Hosein, S. H. Lee, C. M. Liddell, “Dimer-Based Three-Dimensional (3D) Photonic Crystals.” Adv. Func. Mater. 2010, 20, 3085–309. 7. I. D. Hosein, M. Ghebrebrhan, J. D. Joannopoulos, C. M. Liddell, “Dimer shape anisotropy: A nonspherical colloidal approach to omnidirectonal photonic bandgaps.” Langmuir, 2009, 26, 3, 2151–2159. 5. S.H. Lee, Y. Song, I. D. Hosein, C. M. Liddell, “Magnetically responsive and hollow colloids from nonspherical core–shell particles of peanut-like shape.” J. Mater. Chem. 2009, 19, 350–355. 3. I. D. Hosein, C. M. Liddell, “Convectively Assembled Nonspherical Mushroom Cap-Based Colloidal Crystals.” Langmuir, 2007, 23, 8810–8814. 1. J. Kim, W. Ni, C. Lee, E. C. Kan, I. D. Hosein, Y. Song and C. Liddell, “Magnetic Property Characterization of Magnetite (Fe3O4) Nanorod Cores for Integrated Solenoid RF Inductors.” J. Appl. Phys. 2006, 99, 08R903.